Khorassan, the “Province of the Sun” in northeast Persia, has woven interesting rugs since the late 16th century. 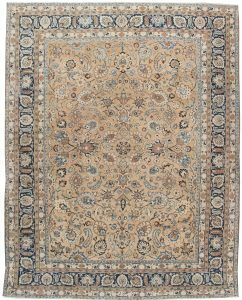 In the later 19th century high quality room size carpets began to be produced, especially in the Shrine city of Meshed. Emogli and Saber were among the master weavers working there in the 20th century creating carpets the equals of any produced anywhere. The short piles are particularly velvety, the numerous glowing colors are rich and saturated, and the curvilinear designs visually complex and layered. 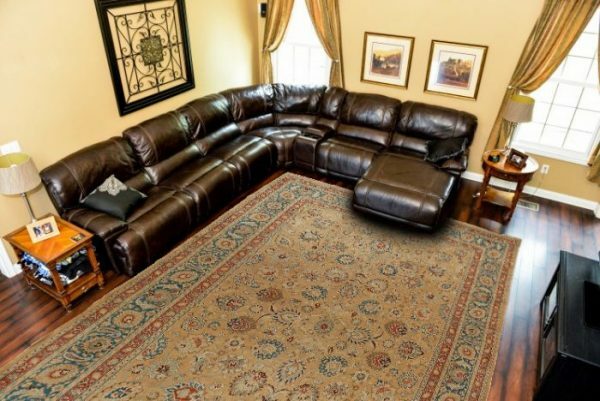 The textures are more like fine fabrics than floor carpets. In the 19th century many towns in Khorassan were active weaving centers, mostly in gallery format examples.